Wah Seong’s FY18 core net profit of RM77m came below our/consensus expectations on weaker-than-expected O&G contribution. FY18 core net profit declined by 11% no thanks to weaker JVs & associates and higher tax expenses. This masked better O&G segment resulting from ramp up of Nord Stream 2 pipe coating contract. Orderbook has fallen 30% QoQ to RM1.1bn (c.70% from O&G) while tenderbook remains flattish RM6.0bn including jobs from Europe, Africa and Australia. Slashed FY19/20 earnings by 10%/25% respectively following earnings disappointment. Downgrade to SELL rating with lower TP of RM0.65 pegged to 8x FY19 PER. Below expectations. FY18 core net profit of RM76.8m came below our/consensus expectations, accounting for 84%/80% of full year estimates. The negative deviation was mainly due to weaker-than-expected O&G segmental contribution. 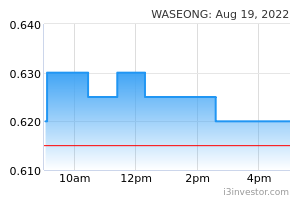 QoQ: Wah Seong recorded core net profit of RM7.8m after stripping off exceptional items such as RM12m asset impairment on its JV, Alam-PE Holdings, RM4.9m PPE impairment reversal, RM4.9m forex loss and RM3.7m impairment receivables. Core net profit decreased 65% QoQ weaker O&G segment (-63%), renewable division (- 36%) and industrial trading segment (turned RM3m losses from RM1m profit in 4Q17). YoY: Core net profit also dropped 80% YoY no thanks to weaker O&G (-55%; poorer Malaysian operations) and renewable segment (-41%; lower margins). It was further bogged down by higher tax expenses at RM16.0m (vs tax credit of RM12.3m in 4Q17). YTD: FY18 core net profit declined by 11% as a result of weaker JV & associate and higher tax expenses (+4.9x). This was partially offset by better O&G segment (+29%; ramp up of Nord Stream 2 pipe coating contract) and turnaround of industrial trading division. Nord Stream 2. We understand that completion rate of NS2 contract stood at c.84% as of 4Q18. To recap, NS2 contract is worth RM3bn and is expected to complete in 3Q19. Order book. Its current order book has fallen to RM1.1bn as of 4Q18 from RM1.6bn in 3Q18, of which 70% is from the O&G segment. NS2 takes up significant portion (c.40%) of its order book and cost management of the project is essential to the group’s profitability. Tender book. Its tender book remains the same as 3Q18 at c.RM6.0bn with no new award and tender over the quarter. Bulk of the tender book is from the O&G segment, which is coming from Australia, Europe, Africa and Malaysia. We expect slower contract flow in the next 6-9 months as any sizeable contract win would only materialise by end-2019. Forecast. Slashed FY19/20 earnings by 10%/25% respectively after imputing lower contribution from O&G segment in view of slower contract flow in 2019/20. 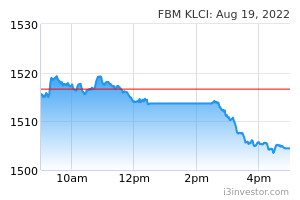 Downgrade to SELL, TP: RM0.65. We downgrade the stock to SELL rating after lowering our TP to RM0.65 (from RM0.72 previously) pegged to 8x FY19 PER post earnings adjustment. This is premised on absence of sizeable new contract award in the near term coupled with dwindling orderbook as NS2 is approaching completion stage in FY19.